UPDATE 11th March, 2019: All Malindo Air’s B737 MAX 8 have been transferred to parent company, Indonesia’s Lion Air. 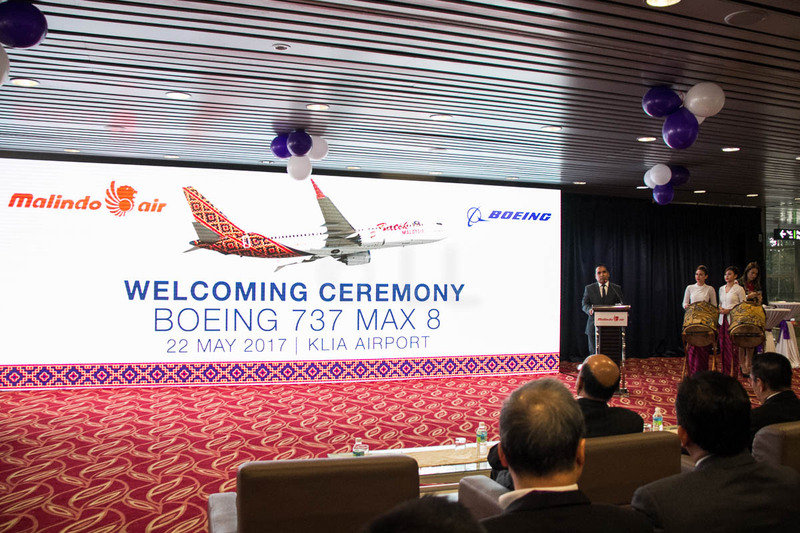 The world launch of the much awaited Boeing 737 MAX 8 aircraft was celebrated at Kuala Lumpur International Airport KLIA on 22nd May 2017. 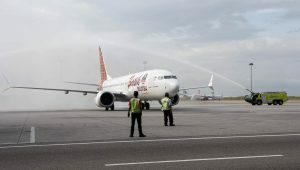 After company personnel inspected the outside of the aircraft and answered questions, the new aircraft showed it’s colours on its first commercial flight to Singapore. 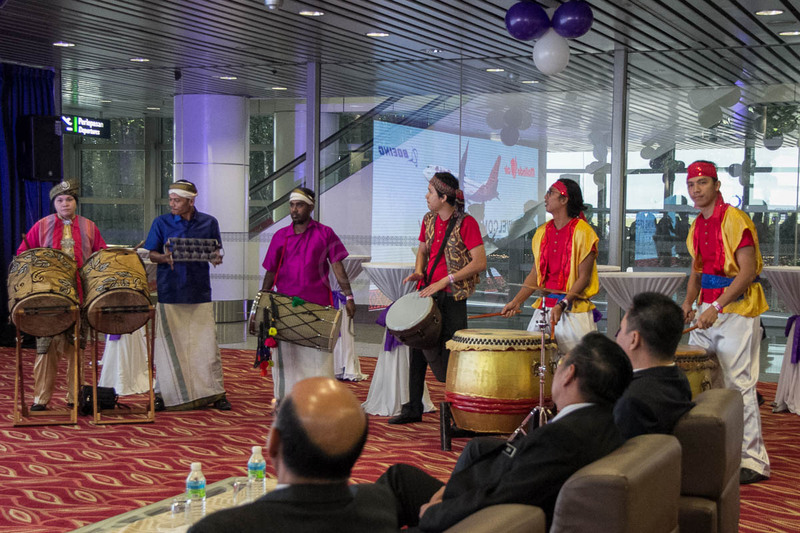 Boeing Commercial Airplanes’s senior vice president for Asia Pacific & India Sales, Dr. Dinesh Keskar, joined in the colourful welcoming ceremony. 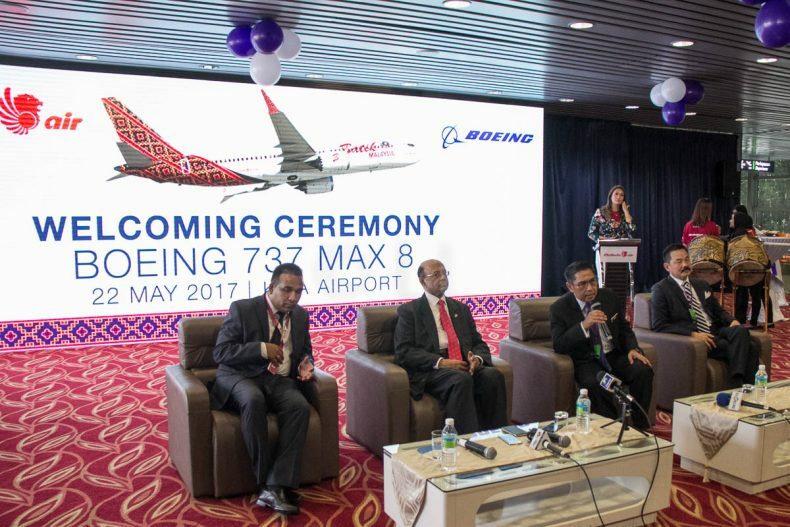 He commented that Boeing is honoured to join Malindo Air for the very first commercial flight of the 737 MAX. Director General of Civil Aviation in KLIA, Azharuddin Abdul Rahman, also said a few words. He commented that he had started his career in aviation as an aircraft engineer working on the early Boeing 737-200 aircraft. He said he was especially happy to welcome this latest version to KLIA at the world launch. 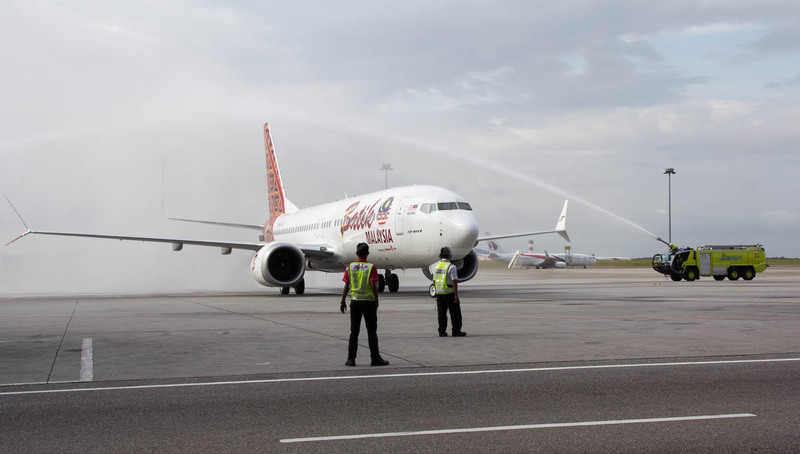 Chandran Rama Muthy, Malindo Air’s CEO made reference to the new plane’s livery, adding that this foreshadows the re-branding of Malindo Air later this year. The orange and purple traditional batik has been seen on some of Malindo’s planes for some time now and this just confirms a ‘best kept secret’. Also present during the event was Rusdi Kirana, co-founder of the Indonesian Lion Group. 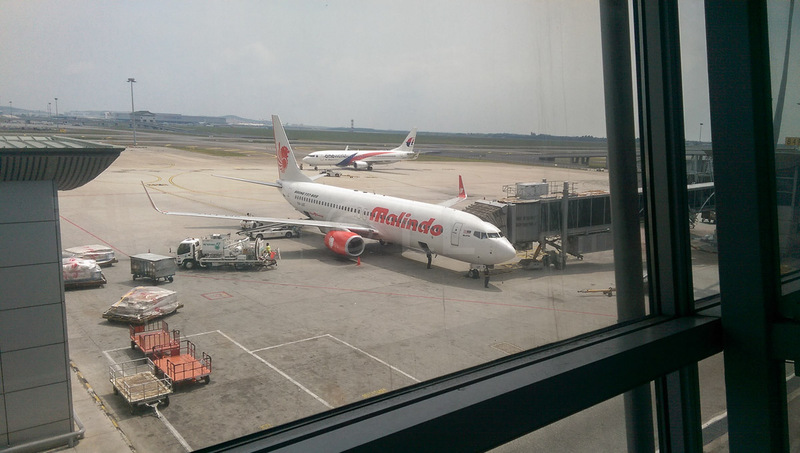 EconomyTraveller joined Malindo Air on their inaugural flight – a round trip to Singapore.